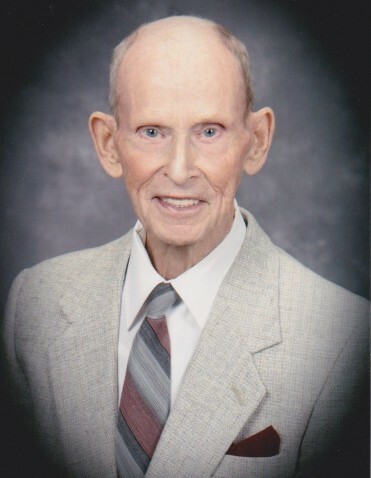 It is with great sadness that the family announces the passing of Bob (Robert) Leo Petersen, born August 22, 1925. Bob passed away peacefully with family by his side in Calgary, AB on March 19, 2019 in his 94th year. Bob was born and grew up in Kingston, Ontario one of nine children to parents, Carl Johan and Annie Maria Petersen. Military service was a large part of Bob’s life and he enlisted in the RCAF at the age of 17 years. In 1944, he graduated as Sgt Air Gunner and with 15,000 other troops travelled to the UK on SS New Amsterdam. He was posted to 100 Squadron at RAF Station Grimsby, Lancashire where he served in Bomber Command and flew as rear-gunner in Lancaster ‘Grog’s the Shot’ of the Forbes crew, where he flew 22 Combat Missions and 2 Mercy Missions. Bob was the last surviving member of the crew. While stationed in England, Bob met and married Penny (Mary) in 1949. 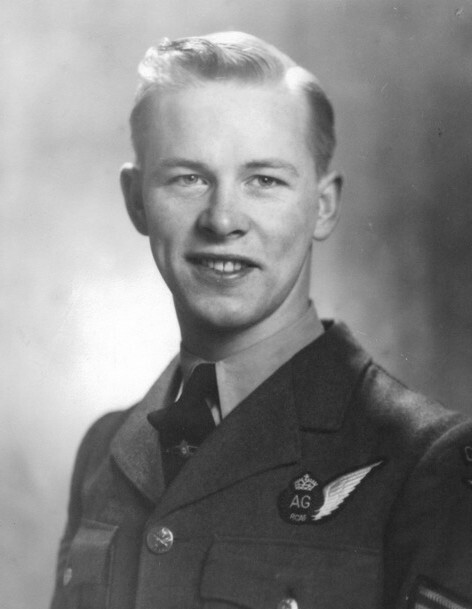 Bob and family returned to Canada in 1951, where Bob continued to serve in the RCAF until 1974. Following his military service Bob moved to Calgary and worked in the Calgary Convention Centre for 16 years before finally retiring in 1990. He is predeceased by Penny, his loving wife of 63 years. Bob’s caring and adventurous spirit will live forever in the hearts of his beloved children, Sol, Shirley (Perry), Terry, Aura and Sean; his nine grandchildren; and five great-grandchildren. He is survived by his sisters, Hilda and Helen. Bob will be remembered fondly by family and friends as a loving husband and father, active member of the church, wood carver, lover of music and travel, family historian, list maker extraordinaire, RCAF veteran and WWII rear gunner. He was happiest to be with family and friends, enjoyed the chaos of family gatherings, and delighted in creating a yearly Christmas letter. Bob was an avid hockey and football fan and was known for his quick wit, infectious smile, and his kind and compassionate spirit. He leaves us rich in memories. Bob touched the lives of many people with his smile and generosity, and maintained his trademark sense of humor all the way to the end. In lieu of flowers, if friends so desire, memorial tributes may be made directly to the Veteran’s Food Bank (#1 – 4619, 6 Street N.E. Calgary, Alberta; 403-471-985; https://www.theveteransfoodbankofcalgary.ca). The family would like to thank the staff of the Agape Salvation Army hospice for the care, kindness and support, may God bless them all.